Llandrindod Wells as its name implies, was historically linked with the health-giving waters which it still provides for visitors today. It is therefore surprising to find that, although the beneficial effects of taking the waters were known to the Romans, the development of the town did not take off until the mid- 19th Century with the coming of the railway to the town. It then grew at an astonishing rate, as the taking of the waters became a fashionable part of Victorian life. However, when tracing the history of our town and the surrounding area, the Roman occupation of Britain provides the first evidence of spa waters in the area. The best known Roman settlement in the area was situated at Castell Collen, just outside Llandrindod Wells, and today it is an important archaeological site. 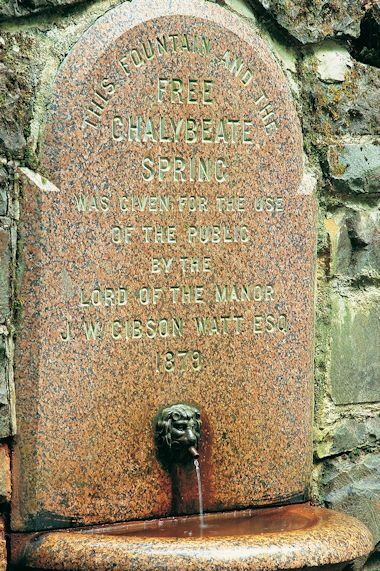 Although the health-giving benefits of the many types of waters coming from local springs were well known to the Romans, it was not until the end of the 17th Century that the saline springs were mentioned in local reports from the area. Even then, no development of note followed. At that time, Llandrindod Wells did not exist as a town, and the area comprised just a few scattered farming communities, the Llanerch Inn, Caebach Chapel and two 13th Century churches which still see regular worship. The former parish church, now known as the Old Church, is almost 1,000 feet above sea level and overlooks the present town. Cefnllys Church, nestling in the beautiful Ithon Valley, lies just over a mile from Llandrindod Wells in a beautiful and remote beauty spot known locally as Shakey Bridge. In 1749 a gentleman called Mr Grosvenor, an astute and far-sighted entrepreneur, bought and extended a few local houses to encourage visitors and, more speculatively, built a large hotel overlooking the present lake and just below the parish church mentioned earlier. 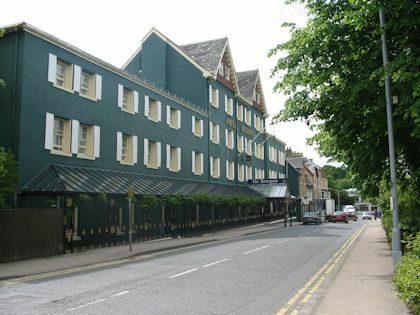 With rooms for several hundred guests it offered a wide range of facilities for visitors, including hairdressers, milliners, glovers etc and for entertainment there was billiards, racing and rooms to cater for lavish balls and assemblies. And, of course, the local spring waters could be sampled, encouraged by a work on the beneficial effects of 'taking the waters', which had been prepared by Dr Wessel Linden in 1756. The hotel remained open for about 40 years, and during this time acquired a somewhat dubious reputation. It is unclear when it closed, but the building fell into disrepair and was demolished some time after 1787. The site of the hotel is now occupied by the Hall Farm, still nestling beneath the Old Parish Church. The community of Llandrindod once more reverted to its former anonymous existence and remained a rural backwater until the coming of the Central Wales Railway in 1865. The railway provided easy access to an area that had formerly been difficult to reach and offered a direct link to the rapidly expanding industrial areas of the North West of England, the Midlands and South Wales. Its opening also coincided with the Victorian fashion for taking the waters. It was no surprise, therefore, that the town began to grow, albeit slowly at first, with speculators seeing the potential for the town's development afforded by good rail access, a bountiful supply of building land and the variety of medicinal and health-giving waters freely available in the town. In 1880 Radnorshire County Council established its offices in the town, and the phenomenal growth of the town was now well under way. Hotels, apartments, new treatment centres, two pavilions, a golf course, bowling and putting greens and a 14 acre boating lake were all built within a few years to cater for as many as 80,000 visitors a year. These, mainly wealthy, visitors arrived from all over the land, bringing with them their own entourage of servants who further swelled the numbers in the town. Local papers listed week by week the names of visitors to Llandrindod Wells, reflecting the importance not only of being there, but of being seen to be there. The growth of the town continued unabated into the early years of the 20th Century, with the railway at one stage running through trains to destinations as far apart as London, Birmingham, Manchester and Liverpool. However, the outbreak of the First World War saw a drastic reduction in the numbers of visitors and the area was slow to recover after the cessation of hostilities. The 1930s depression, followed by the greater availability of seaside holidays to the ordinary working man and woman, added to the rapid decline in the town's fortunes. The Second World War heralded what appeared to be the death knell for people visiting the town and taking the waters. 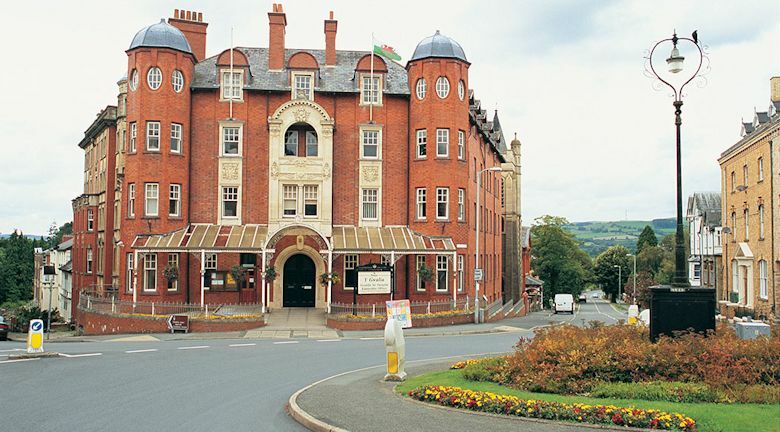 Fortunately, the council and townspeople of Llandrindod Wells were not content to see the town free-fall into obscurity, and instead seized the opportunity to consolidate its role as an administrative centre, as well as establishing a light industrial base in the town. 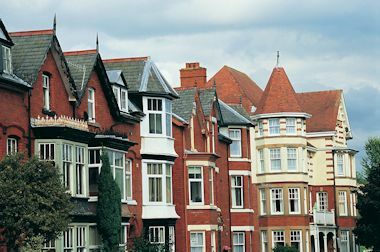 Increased housing to encourage new businesses, and a good range of shopping facilities, enabled the town to grow at a steady and sustainable rate. 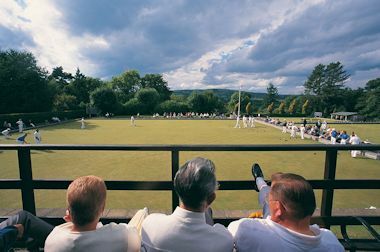 Recent years have seen a welcome increase in visitors holidaying in the area, and Llandrindod Wells boasts a variety of accommodation to suit all tastes and pockets, including large, well-appointed hotels, licensed guest houses, bed and breakfast, farmhouse accommodation, caravanning and camping facilities. 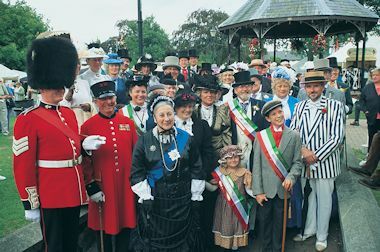 There are also many regular attractions to cater for visitors including the Drama Festival Week at the beginning of May each year and the Victorian Festival at the end of August. The Royal Welsh Show, the largest agricultural show in the UK, is held in July each year at Llanelwedd, six miles south of Llandrindod Wells, and is an extremely popular family venue. What of the future for Llandrindod Wells - there are exciting plans to expand the facilities available in the Rock Park Spa, providing alternative therapies and up-to-date treatment in the hydrotherapy centre. This will make full use of the beneficial effects to be obtained from the local mineral waters. Also several improvements have been carried out at Llandrindod Lake and in the Rock Park and a new 'Heritage Trail" has also been established in the town and provides a historical trip around the town. 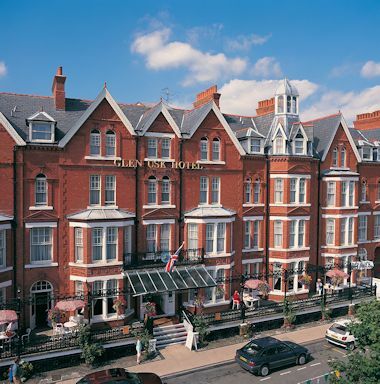 All in all Llandrindod Wells can look forward to the future with a sense of excitement and optimism.